By clients requirement in 40'OT/ 40'HQ/ 40'GP/ 20'GP Containers. 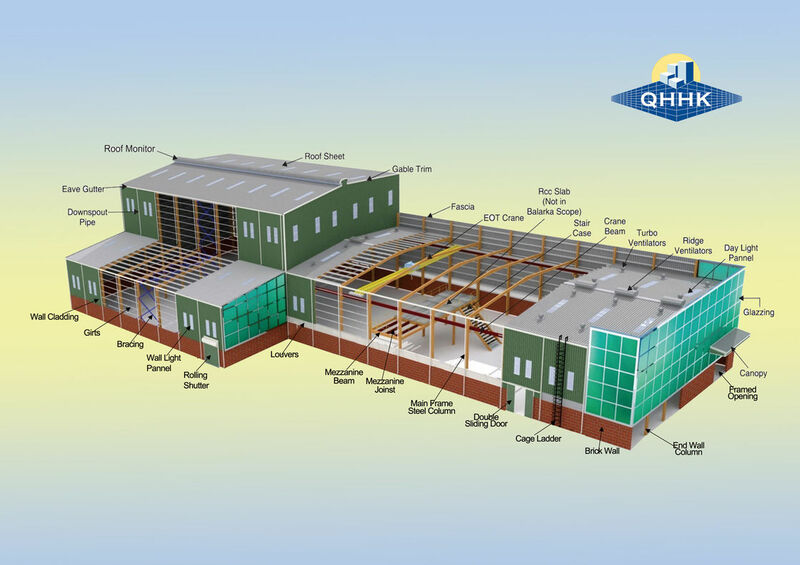 QHHK offers virtually any type of structural design required. Your building square footage, local codes and wind, rain, and seismic requirements will determine the type of structural system that will apply. Other considerations include interior space requirements where clear spans may or may not be required. Standard bay lengths are 6m,7.5m, and 9m between mainframes. A variety of end wall designs are available depending upon specific building demands. Post and beam end walls are standard optional"rigid frame" end wall designs are also available when there may be a need to add to the building in the future or perhaps a need for a total opening such as an aircraft hangar door. Our staff of experienced professionals can be of great assistance in determining the right structure for your application. We cater for every market from warehouses, workshops to 4S car exhibition centers, shopping mall, aircraft hangers, poultry & pig sheds, container houses, agricultural& commercial buildings and so on. 2. Quick erection: steel structures can be erected quickly. The accuracy of steel components speeds up the process and allows monitoring of the management software to complete sooner. 3. Health and safety: Structural Steel is manufactured at the factory and rapid erection on the construction site by skilled personnel making steel structure safe. Industry surveys consistently demonstrate that steel structure is the safest solution. 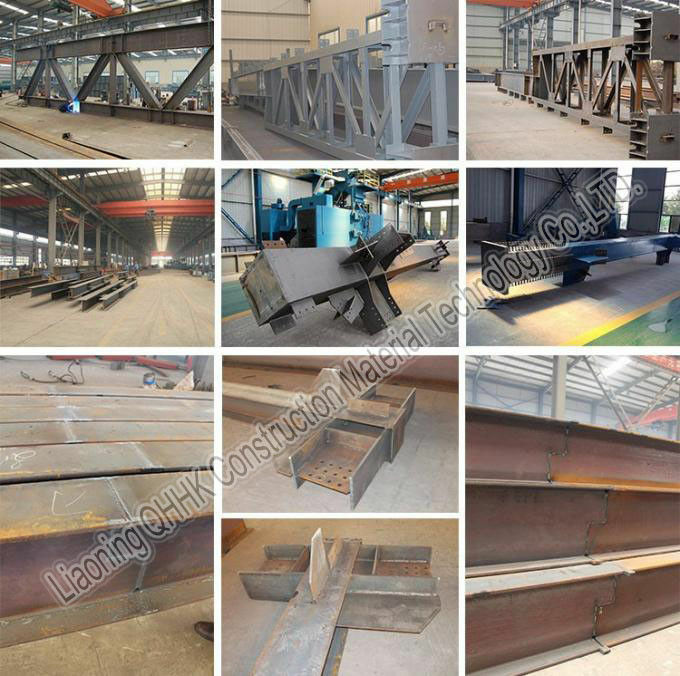 There is very little noise and dust in the process of steel structure erection because structural steel members are fabricated at the factory. 4. Flexibility: Can be modified in the future for the new application, loading conditions, vertical expansions and changes in owner’s desires in ways that other framing systems cannot accomplish. Main structure H section steel Q345, alkyd painting, two primary painting, two finish painting. Edge cover 0.4mm color plate, angle Alu. Fittings & accessories Nails, glue etc. 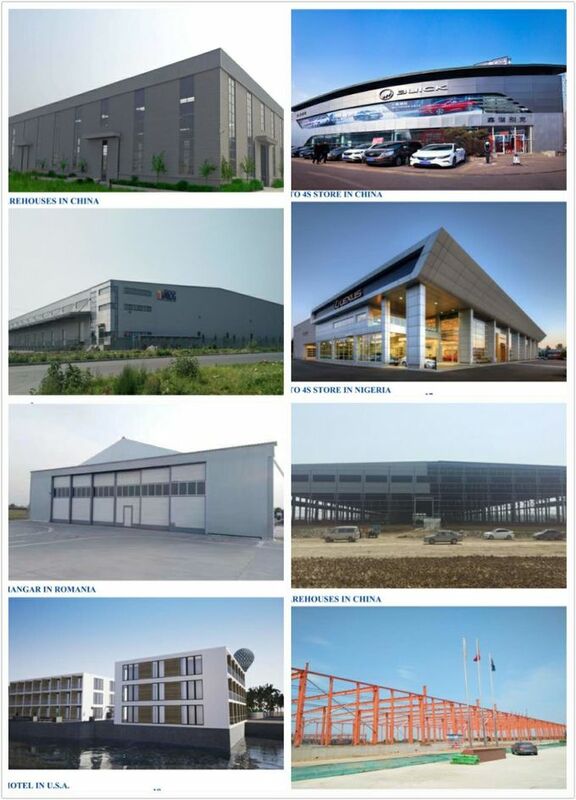 We can produce various steel structure components like H beam, box column, grid column, round column etc. We believe our best quality, excellent service and good credibility are worth your trust! If you are interested in our products, please contact us for more information!